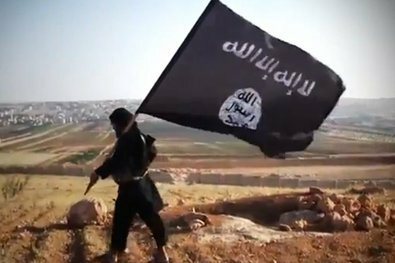 It was claimed when ISIS took parts of Bagdad, including US army bases that they were not affiliated with al-qaeda, even thought they were seen flying the same flag. It has now become main stream news that ISIS or Islamic State is Al-qaeda. Anyone who has been studying these terror groups knew from day one what it took most of the corporate media months to acknowledge. Changing the name of this group is a tactic being used to confuse those who really don’t follow the advancing army. NATO, the US, and the united Nations and allied countries were arming and training this army to help invade Syria. Senators like Ted Cruz and Rand Paul were coming out in Congress saying the US military is not al-qaeda’s air force. Many people within the military were posting videos holding signs that said the same thing. So they changed their name to ISIS. A senator as well as a police source has come out and said that ISIS will attack an American city. Specifically listing Chicago and Las Vegas as primary targets. A jihadist magazine is encouraging lone sympathizers to attack using car bombs. This attack will be the pretext for America to finally strike Syria. Even though Syria has been fighting ISIS, the majority of people will believe that we should invade Syria. The US and NATO forces have been trying to overthrow the Assad regime. They claimed without any evidence that Assad was using chemical weapons, even though it turned out the rebels(ISIS) had chemical weapons. They claimed that if we didn’t strike Assad we would be attacked. American policy has left it’s southern border wide open. Allowing thousands of undocumented people into the country. ISIS has used this vulnerability to import agents into the country. They have been working with the Mexican drug cartels to help with entry and weaponry. This is a real threat and the Obama administration will use this crisis as plausible deniability for how these agents entered the country. They will use this attack not only to bring a military presence on the streets of America but as a pretext to invade Syria and arrest or quarantine civilians they claim threaten the homeland. Factions of the government will claim that journalists, returning veterans, tea party and libertarian supporters took part in this attack or were accessories in order to quarantine and arrest the administration’s political opposition. The administration has made too many mistakes that have put America in this position. The average citizen has no idea the dangers they face and why such dangers exist. If this attack happens hundreds or even thousands of innocent people will be killed and even more freedoms will be lost. We are less safe now after 9/11 and the terrorist have only gotten stronger. They are beheading those who have a different religion they have become extremely violent and have acquired chemical, biological and maybe even nuclear weapons. These wars have all started because of 9/11. Even though the official story is proven impossible by over 2000 architects and engineers, but the majority still believe the official lies. We need to stop the wars, they are slowly destabilizing the world and are killing thousands of innocent people. If you care enough to look you will see through the lies.